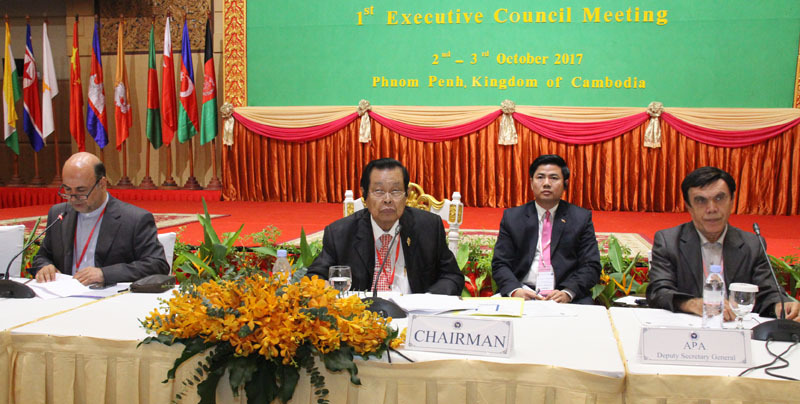 On the afternoon of October 3, 2017, the First Executive Council Meeting of the 10th APA Plenary Session has successfully completed and APA Member Countries with APA Secretariat General deeply appreciated the organizing of the meeting hosted by Cambodian parliament, particularly the fulfillment of role of Cambodian Parliament in strengthening the role of Asian Parliamentary Assembly since becoming the President of Asian Parliamentary Assembly in 2015. Twenty-six APA member countries, now attending the First Executive Council Meeting in Phnom Penh, are Afghanistan, Bahrain, Bangladesh, Bhutan, China, Cyprus, India, Indonesia, Iran, Iraq, Jordan, Kuwait, Laos, Malaysia, Nepal, North Korea, Pakistan, Palestine, Russia, Saudi Arabia, Syria, Thailand, Turkey, United Arab Emirates, Vietnam, and Cambodia. The working result of this meeting will be forwarded to the Second Executive Council Meeting of the 10th APA Plenary Session in Turkey in the late 2017. In the remark during the closure of the meeting, H.E. Dr. Mohammad Reza Majidi APA Secretary-General highly appreciated, and special thanked to Samdech Akka Moha Ponhea Chakrei HENG SAMRIN for his dedication and leadership towards APA activities during this period which was immensely enriched and promoted the noble objectives and achievements of our organization and its international standing. 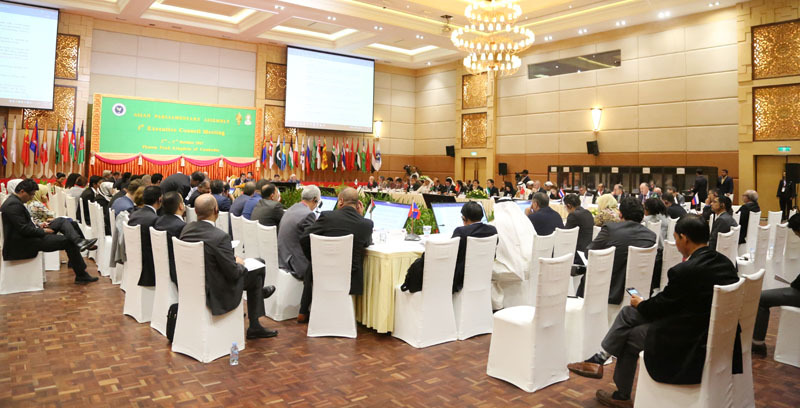 Delegates attended the meeting at the closure of the meeting, complimenting the Royal Government of Cambodia and the people of Cambodia to warmly welcome and provide safety and security to all delegations. A delegation from Palestine said, "There is more than word can say for Cambodian hospitality to delegations. From the airport and during the stay, the delegation received a very warm welcome and pleasant time. " The Iranian delegation also praised the Cambodian Parliament at the closure of the meeting that the Cambodian Parliament and the APA Secretariat General has organized an excellent meeting illustrating a perfect role of Asian Parliamentary Assembly on the land of the Kingdom of Cambodia. 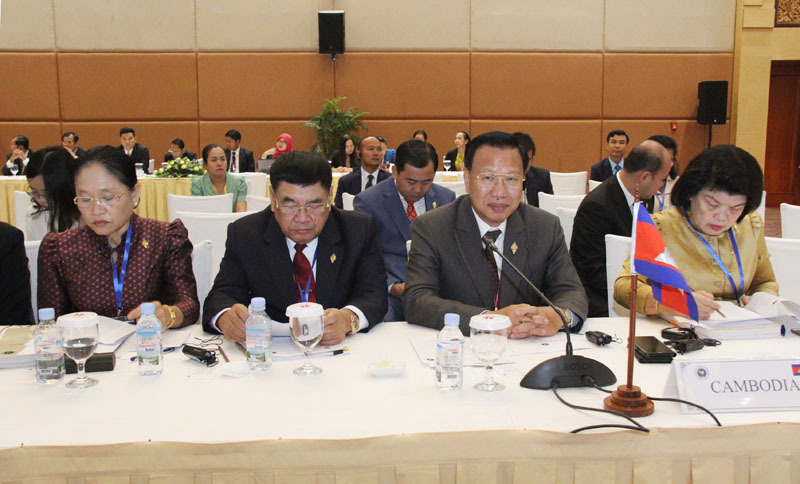 Since 2015, the National Assembly of Cambodia has been in the position as President of the Asian Parliament Assembly under the presidency of Samdech Akka Moha Ponhea Chakrei Heng Samrin, President of the National Assembly of the Kingdom of Cambodia. 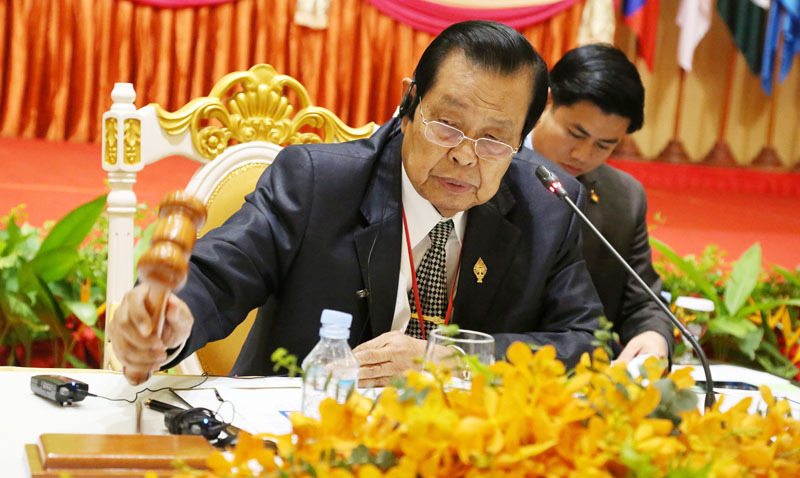 Cambodia, as APA’s president, has hosted the 8th APA plenary session in 2015 and again the 9th APA plenary session in 2016 followed by other executive meeting, as stipulated in the Charter and internal rules of the APA. Turkish Parliament is assumed to host the next Asian Parliamentary Assembly in the late 2017. H.E. Dr. Mohammad Reza Majidi APA Secretary-General thanked Samdech Akka Moha HENG SAMRIN, President of the National Assembly of the Kingdom of Cambodia and the APA President , Honorable H.E. Dr. Nguon Nhel Second Vice President of the National Assembly and Chairman of the Organizing Committee of the First Executive Council Meeting for spending tireless efforts to support and promote the APA role a more robust stance, and also for the significant contribution in solving both regional and global challenges following the culture of dialogue as foundation. “The great success of this parliamentary forum could not have been without Samdech HENG SAMRIN and Honorable H.E. Dr. Nguon Nhel.” said H.E. Dr. Mohammad Reza Majidi APA Secretary-General. Please be informed that the results of the First Executive Council Meeting will be forwarded to the Second Executive Council Meeting and the 10th APA plenary session which will be hosted by Turkish parliament in late 2017. 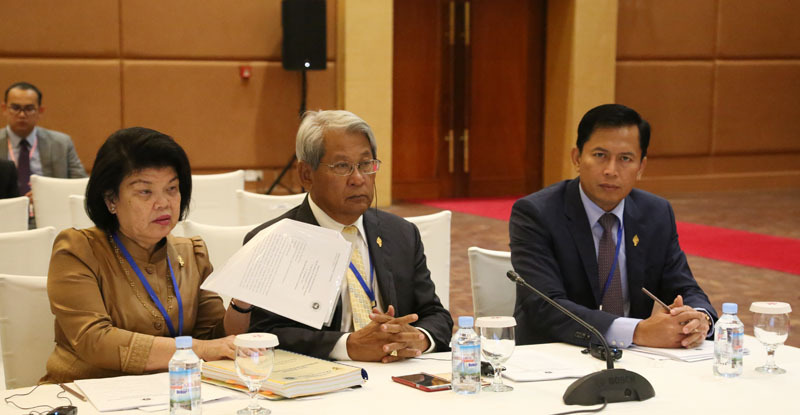 Parliamentary delegations from Turkish Parliament has promised to fulfill the duty as host after Cambodia in order to continue strengthening this parliamentary forum a fruitful success the same as Cambodian Parliament has done so far. Lastly, parliamentary delegations from Turkey has invited all the APA member countries to attend the next meeting in Turkey on November 2017 altogether.